Facebook to Try Out Autoplay Ads in Messenger — CROWD. With Facebook purportedly running out of space for ads on its platform, the social media giant has decided to try running autoplay video ads on its messaging app. This comes on the heels of Facebook’s previous attempt at marketing through messenger, where they sold static ads. “We’re in the beginning stages of expanding the availability of video ads to Messenger and we plan to roll this out gradually and thoughtfully. People on Messenger are our top priority and they will remain in control of their experience,” says a Facebook Messenger spokesperson. Despite these assurances, it’s easy to imagine a situation where an autoplaying ad could be disruptive to an important conversation. However, messenger ad business head Stefanos Loukakos said that the company doesn't believe video ads will change the way people use the app. According to Loukakos, Facebook has been monitoring user behavior around the static ads to determine if there is any change in the way people use messenger as a result-- and apparently, there is no visible impact on how users are interacting with it or how many messages they send. “Video might be a bit different, but we don’t believe so,” Loukakos told Recode. Messenger ads are offered only as an extension of a Facebook campaign and were introduced in January of 2017. 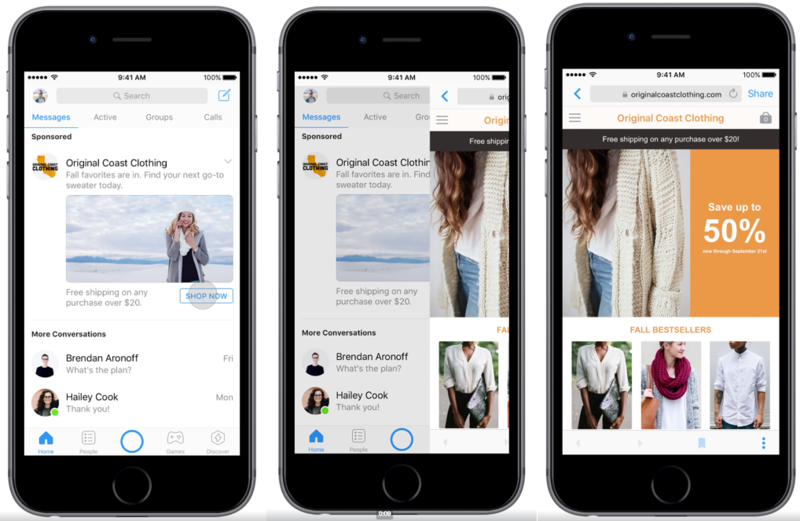 Facebook rolled out Messenger ads globally in July of last year. Currently, advertisers can buy Messenger video ad placements as an extension of campaigns running on Facebook, but can't set a campaign to run exclusively on Messenger, Facebook says. To stay on top of all digital trends, visit CROWD. or send an email to hello@crowd.agency.